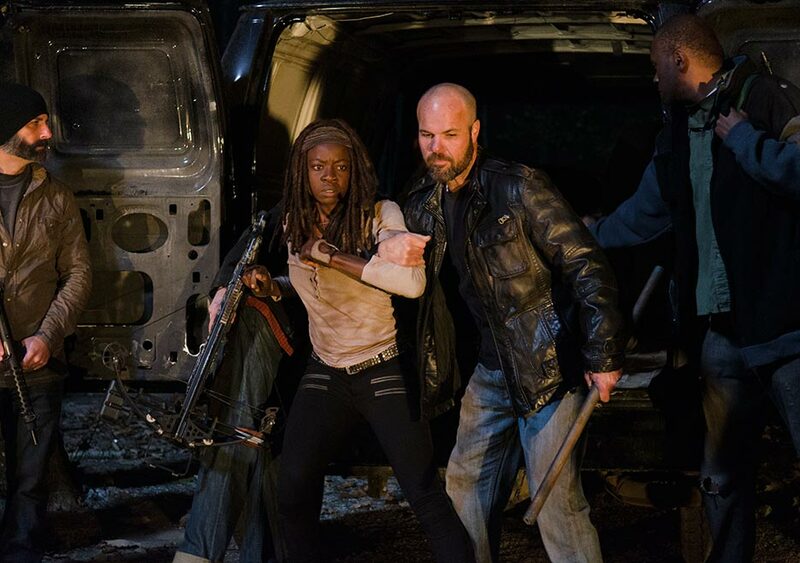 6x16 ~ Last hari on Earth ~ Michonne. Episode Still. HD Wallpaper and background images in the the walking dead club tagged: the walking dead season 6 6x16 last day on earth michonne dwight. This the walking dead photo contains baret hijau, pasukan khusus, tentara elit, green baret, prajurit elit, and penembak dgn senapan. There might also be segel angkatan laut, segel, angkatan laut seal, seal, seragam, mobil, auto, suv, and truk.